After losing Joseph, it was inevitable that any future pregnancies would be hard. Six years later, with fifteen miscarriages behind us, I was over the moon to finally be pregnant with Eva yet, as my pregnancy progressed, my biggest concern was that history would repeat itself and she would be stillborn. My fears at that time were very real, so much so that they consumed my every thought, just waiting for the worst to happen, wondering if I would realise if she was in distress, whether there would be time to seek help, whether I would even know should the worst happen. And so when a friend suggested that I use a home doppler, it seemed like the answer to my worries. I could use the doppler as and when I needed reassurance, as many times a day as was necessary, all day, every day if that was the case, whatever it took to get me through the next nine months. I told myself that with the use of a doppler I wouldn’t have to be that woman, the neurotic Mother who phones the midwife every two minutes with concerns about their babies movements, who visits the doctor twice a week worried that something is wrong, who spends nine months up and down to the maternity unit convinced that their baby won’t make it home. It was surprisingly easy to buy a doppler, there were countless sites offering me one to rent for as little as £9 a month or to buy for just £30. I decided to buy one and when it arrived the next day, at just 13 weeks pregnant, I scanned the instructions and spent the next hour trying to find the heartbeat. 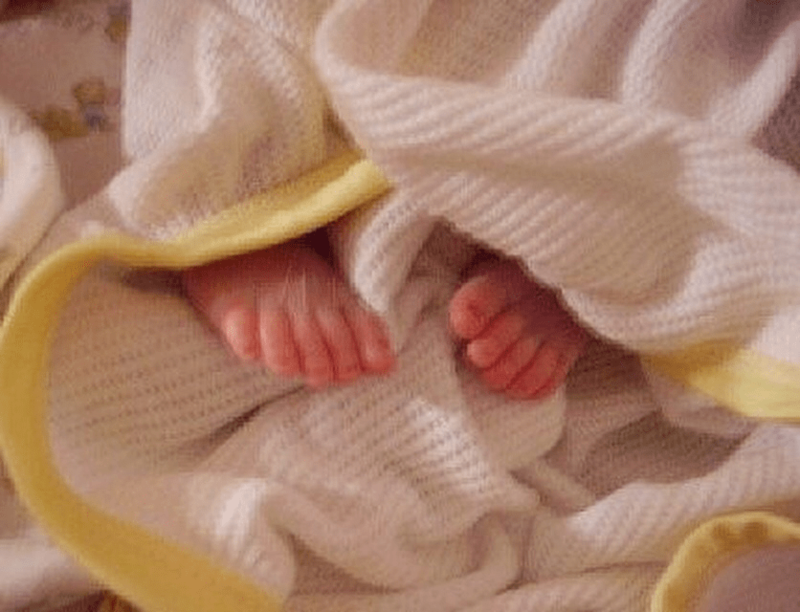 After hysterical tears and so much un-necessary upset, when I eventually found it I felt a rush of relief that my baby was safe and well, although, with hindsight, at that gestation, I was most likely hearing the sound of my own. I look back on those days when she didn’t move until lunch time, when I had slipped getting out of the bath, when I laid awake night after night worrying that her movements had slowed, the days I’d had some some cramping, when I’d felt that overwhelming fear that something wasn’t quite right, and how lying there listening to her heartbeat had reassured me that she was perfectly safe and well. Using the doppler had meant that I had been able to get through the day without calling the midwife or visiting my GP, and “waste their time” with every little niggle. Luckily our story had a happy outcome and Eva arrived safely into the world, and as I packed away the doppler I was grateful to it for getting me through the last eight months of worry. I remember passing it on to a friend, telling her, “I would have gone insane if it wasn’t for the doppler!”, attributing the fact that she had been born healthy down to the doppler for allowing me to monitor her heartbeat throughout. For somebody as neurotic as I, with a lengthy history of baby loss, it now seems ludicrous that I allowed a £30 doppler to reassure me that my baby was healthy. 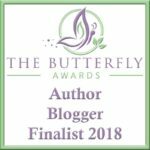 I look back on that time and feel absolutely horrified that something I believed to be the right thing for my baby could potentially have been so harmful, and that I trusted a battery operated machine to reaffirm the well being of my child. And although I count myself very lucky that she is here safe and well, the truth is, for many women, that isn’t the case. Back then I had no idea that home dopplers pose so many risks, nor that they are adding to the UK’s stillbirth rate. I didn’t realise that rather than being a way to reassure women their babies are healthy, they are simply causing women to overlook the fact that their baby is in distress. If there is one thing I have learnt over the last few years, it’s that regardless of whether you’re phoning the midwife every single day, whether you’re a frequent visitor to the day unit or on first name terms with your GP, if you have concerns about the well being of your baby, be that woman. As a bereaved parent, having given birth and said goodbye to my son in twenty four short hours, believe me when I tell you that there is nothing I wouldn’t give to go back and be that woman. What are the risks of using home dopplers? 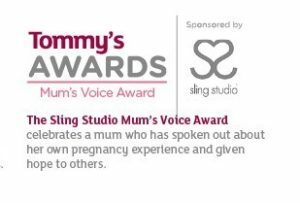 Given the fact that midwives train for three years to differentiate between these sounds, using equipment costing upwards of £400, a £30 device off Amazon and a quick You Tube tutorial will not give you the same care and experience as that of a midwife. The fact of the matter is, if a baby’s movements change, it can be a sign that they are unwell. Just because they have a heartbeat does not mean anything, we all have a heartbeat right up until the moment we pass away. All a heartbeat tells you is that the baby is currently alive, which is the only time something can be done to help a baby in distress. If you wait until you can’t find a heartbeat it’s too late, and it is so important that mums do not use the presence of a heartbeat as a sign their baby is well. There are 6,500 stillbirths or neonatal deaths in the UK every year – that is 15 every single day – and the Government has set a target to reduce that figure by half by 2030. We should be taking every opportunity to save as many of these lives as we can. The banning of home dopplers will be a vital and effective step in reaching that target. I urge those of you who are using dopplers to stop, those who intend to use them in future pregnancies to reconsider, and all of you reading to sign this petition and support Kicks Count in their quest to, save lives. Until I read this post, I had no idea of the downsides of home dopplers and honestly didn’t think much about it. You do make some pretty good points here for getting rid of them as they would appear to offer no positive purpose. This is a very informative post. Thanks for sharing your experience. I wish you and your baby all the health and blessings. Such an informative post and one that is so important. 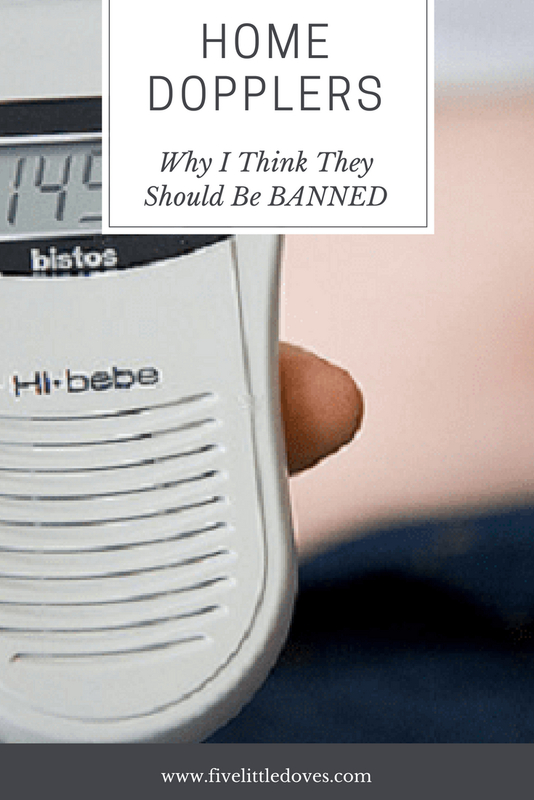 I am such a worrier and have been tempted to use a home Doppler during both my pregnancies, but always managed to resist due to the issues raised in this post. Aww such a lovely post to read, and its a scary thing being pregnant, making sure you can feel the baby move. My third pregnancy was early by 8 weeks, and we wasn’t sure she was going to survive weighing 2 pound 11 ounces. She is doing so well and is now a lively 4 year old. So when I got pregnant with baby no.4 I was up at the hospitals for scans for reassurance. Really interesting post thanks Laura, I had no idea. I can completely understand why someone would buy a home doppler but if they knew the facts and risks involved I bet most would think twice. Well done for raising awareness about this, I’ve signed the petition and shared on my personal Facebook account. When my wife was pregnant, I didn’t even know there were kick counters! It might have saved a lot of stress and worry that we had! Although, the false heartbeat risk would have been a real worry… So actually, we probably wouldn’t have gotten one anyway. I completely understand, I would have done the same. It must have been an incredibly hard time for you. I believe you just need to do everything you feel you have to. Great article. This is a really informative post, thank you so much for sharing. I can definitely understand how dopplers could be a really bad thing for some people to have at home. You are a super amazing strong woman to have dealt with all that loss before your beautiful girl came along! I never knew home dopplers were a thing, but it sounds like a really bad idea given what you’ve said. Hopefully the petition causes something good to happen! This is such an important issue. I would have been reassured by a Doppler too, so worrying. I’m so sorry for what you had to go through. It’s scary that these are so easily available and used by people with no training in them – as you say, midwives train fo three years to know what they’re doing with much better equipment, it’s scary that anyone would rely on these! I totally and utterly agree with you, I would love every pregnant women to read this. So true! I knew that there was a home device that measure the baby’s heartbeat but never knew the consequences! You are a strong mama! I don’t have children so this is the first time I am hearing about a home Doppler. While the idea of it sounds really good, it’s shocking to read that it actually contributes to a higher rate of stillborn births. That is really sad. Oh Eva is so pretty. Sorry for all the loses you have. This is absolutely a great post educating mom’s to be aware about their pregnancy. Thank you so much for sharing. Thank you for sharing this useful information, especially I am 26 weeks pregnant and was thinking about getting one. I used one of these for my first son, and yes I relied on it. Being a 1st time Mum I had no clue what I was feeling, or finding. I never thought about the risks. Great campaign to talk about, and very informative. My Mum is a midwife and curses at the use of home dopplers! I sent myself round the bend worrying after something a midwife said, I’d probably have jumped at the chance of one of these but as you’ve stated its really not a good idea. I used one of these when I was pregnant, but it was mainly as a nice way to connect with my baby. If I ever had any concerns, then I went straight to the midwife – the same way I would have done if I hadn’t used one. My pregnancy after having experienced a stillbirth was horribly difficult. I never felt at ease, even with each and every positive hospital visit. I had a friend who had a home doppler, and they asked if it were something that may help me. But it was these exact same reasons that I didn’t want one. I knew I wasn’t experienced enough, I knew that I couldn’t possibly know if I was doing it right. Your posts are always so heartfelt Laura, and I admire you for being brave enough to still talk about it all. And sharing this kind of information is so important. wow. I had no idea. This is going on the “don’t want” list straight away. I completely agree with this in principal, but I also know next time I’m pregnant and between the 12 and 20 week scans I’ll want to get the doppler out again and try and have a listen. I know it shouldn’t be relied upon though, and never even used for reassurance when your baby is big enough to feel it kick. I think it’s probably better to ban them and have a few people, who use it like I did, sulking than to have people missing important signs because they’ve used it wrong. I think it is a good cause to back. I have no idea about this issue but I think if it helps keep families especially the babies safe then it’s something that people should really ban. It’s nice that you’re raising awareness and sharing your story as well. Sorry about your loss. Bless you and your family. As a Mum who experienced a great deal of anxiety during that pregnancy after a traumatic loss, I considered getting a doppler too. My step Mum however is a midwife and strongly advised against it at the time. Reading this reinforces that decision as I had no idea it was such a problem – these devices should be banned without question. Signed! This is so incredibly important. Shame on the people who sell these things. I’m so sorry for your loss, but thankful that these devices didn’t impact you long term. I never knew they were impacting on the stillbirth rate. I didn’t have one but know friends who did. I can understand why some mum’s would take comfort in having one but I’m no midwife and therefore I am not trained to use them or understand them so I left it to the experts. When I first starting reading this I thought the Doppler was a great thing and anything to ease the fears of a worried mum could only be a great idea. Then as I read more, I realised the seriousness of using a battery operated machine to monitor your most precious cargo. I never knew that the sounds were not always the heartbeat and it could lead to a sense of positivity when something could be drastically wrong. Thank you for educating me and so many others! Informative post on a such a hard topic. 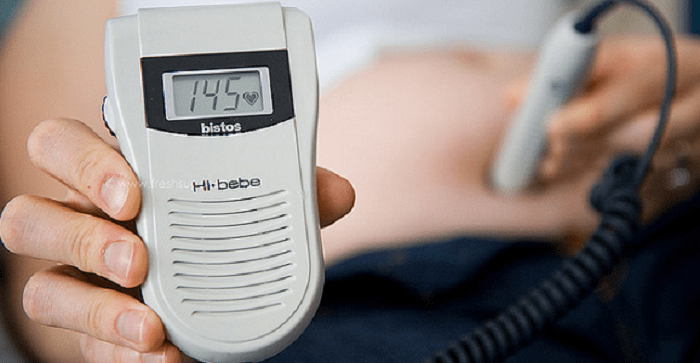 I had a doppler because I was curious to hear my baby’s heartbeat. Personally I would never have used it in place of medical advice, but if as Kicks Count suggest, this is what sometimes happens, that I agree it’s perhaps time to stop sale of the devices, or at least vastly increase the amount and visibility of information it comes with to make it very clear that mistakes can be made and shouldn’t ever be used to “check it baby is ok”. Oh, I’m so sorry for your loss! it’s very useful and informative post!! It’s so kind of you to share your experience with us and spread the aware!! I’m so sorry for your loss! I’m really glad your speaking about it because issues like these need more awareness! Thanks for sharing this with us! Such an informative post. I had no idea about dopplers. I didn’t use one because I knew if I had one I would be using it all the time, so I just resisted and after reading what you have shared today, I’m pleased I trusted my instincts. Thanks so much for linking up to #TriumphantTales – hope to see you again on Tuesday! You are right. Using Dopplers at home seem silly now you mention it. After fertility treatment and miscarriage I just wanted to know my baby was going to be ok so in the last 2 months of my first pregnancy, I went in to see my midwife almost everyday. 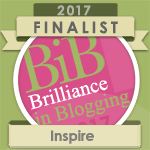 I still had a breech, forceps and very squashed baby who had dislocated hips and was very poorly when she was born as she was overdue. I think that at the very least, they should come with a warning! It was lovely having the ability to share the baby’s heartbeat with family who wouldn’t otherwise have heard it. However, I too remember listening to her heartbeat around 20 weeks when I wasn’t sure I’d felt her move for a while to reassure myself. Luckily, in later pregnancy (around 34 weeks), I think I’d seen a post by Kicks Count. Despite using the doppler, I went to the hospital to get reduced movements checked out. Thankfully, for me all was fine. However, it’s so important that women are aware that you absolutely can’t rely on them to tell you whether your baby is safe.